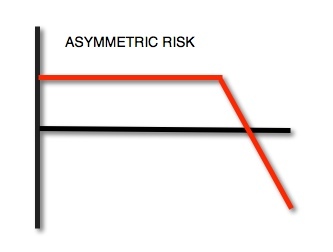 an asymmetric risk profile is when the risk and reward is unbalanced, uneven, or unequal. That is, the risk isn’t the same as the reward. The risk of the position is more or less than that profit.